Pecoraro is being investigated on allegations of corporal punishment. 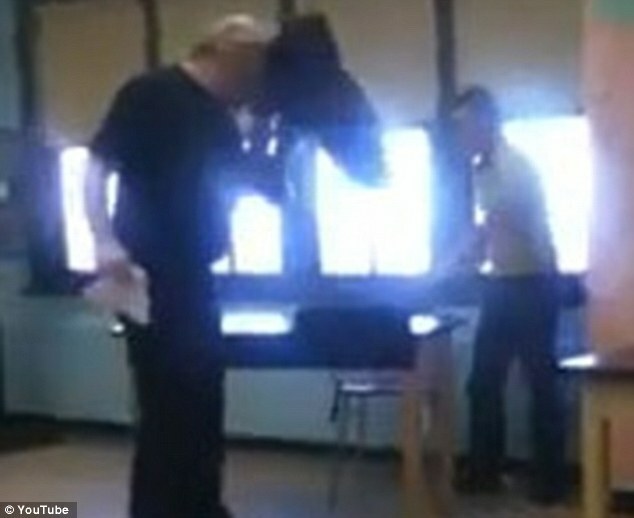 He then tries to explain a math problem to the student who is ignoring the lesson and covering his head with a jacket. 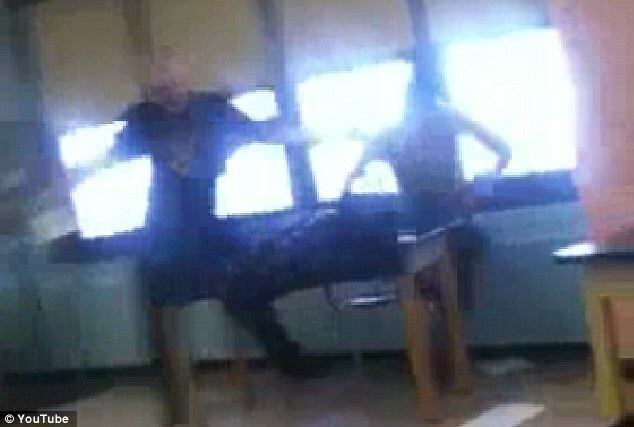 At one point, the student, whose identity isn’t revealed, appears to try to hit the teacher. 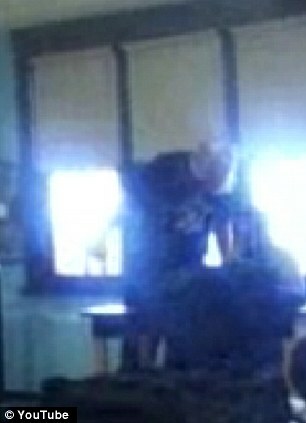 The altercation is witnessed by a few other students in the class – along with one boy in front of the camera who is asleep with his head on the desk. The row continues until the teacher appears to spit at the student who then spits back at him. 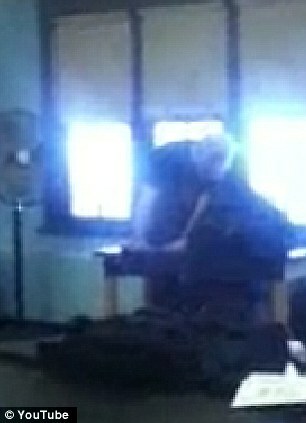 The grainy film cuts out after Pecoraro can be seen dragging the student out of his seat. 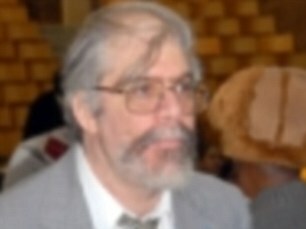 The teacher, who reportedly earns $100,000 a year, defended himself after the incident.